What is the proper way in cleaning Samsung TV? 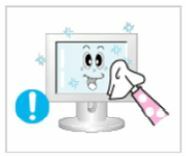 For general cleaning of both the frame and screen of your TV, use a soft, clean, lint free, dry cloth. Most Samsung TVs come with a microfiber cloth that you can use for this purpose. Never use cleaning fluids, wax, or chemicals except as described below. Do not use water unless the instructions that came with your TV say otherwise, and only use water on the portion of the TV that the instructions say to use it on. If you want to remove white dust on the front/back side of your TV, please check the below steps. 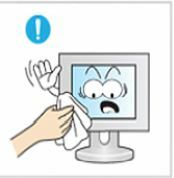 When cleaning the TV case or the surface of the screen, wipe with a slightly moistened, soft fabric. 1. Do not spray cleaner directly onto the surface of the product. Otherwise, this may result in the discoloration and distortion of the structure and the screen surface may peel off. 2. 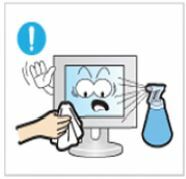 Clean the product using a soft cloth with a monitor cleaner only. If you must use a cleaner other than the TV cleaner, dilute it with water at a ratio of 1:10. 3. 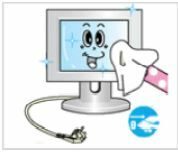 When cleaning the product, make sure to disconnect the power cord. 4. When cleaning the product, disconnect the power cord and clean it softly with a dry cloth. Important: Do not use chemicals such as wax, benzene, alcohol, thinner, mosquito repellant, lubricant, or cleaner. These may change the appearance of the product surface and peel off the indication labels on the product. 5. Since the product housing is easily scratched, make sure to use the specified cloth only. Important: Use the specified cloth adding only a little water. As the product may be scratched if there is any foreign material on the cloth, make sure to shake it thoroughly before using it. 6. When cleaning the product, do not spray water directly onto the main body of the product. Important: Ensure that water does not enter the product and that it is not wet. It may result in electric shock, fire or a malfunction. [TV] How to reset the password?